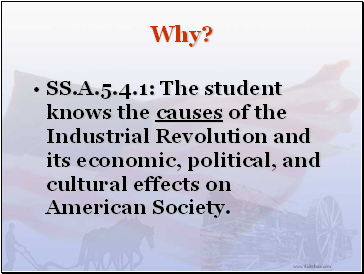 SS.A.5.4.1: The student knows the causes of the Industrial Revolution and its economic, political, and cultural effects on American Society. Can societies have winners and losers at the same time? 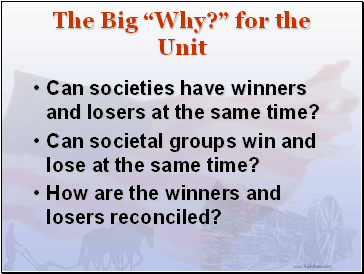 Can societal groups win and lose at the same time? How are the winners and losers reconciled? 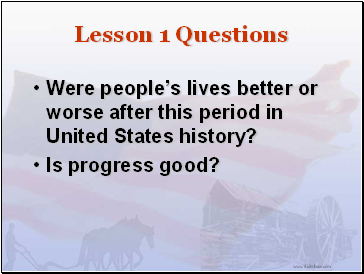 Were people’s lives better or worse after this period in United States history? Remember being in the eighth grade? 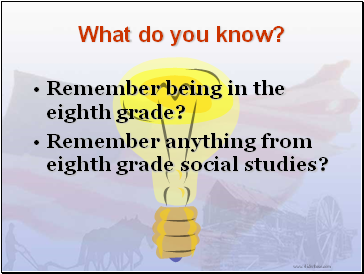 Remember anything from eighth grade social studies? 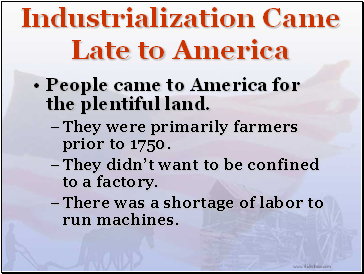 People came to America for the plentiful land. 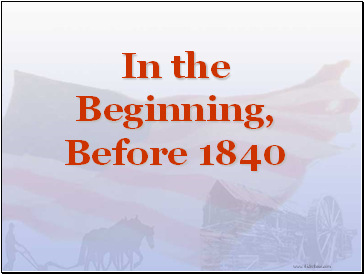 They were primarily farmers prior to 1750. 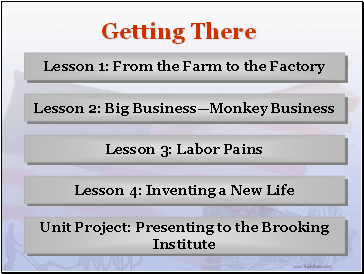 They didn’t want to be confined to a factory. 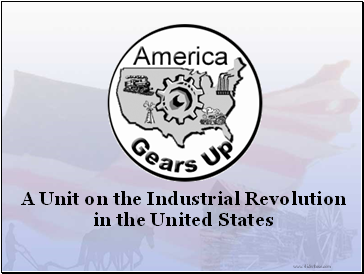 There was a shortage of labor to run machines. 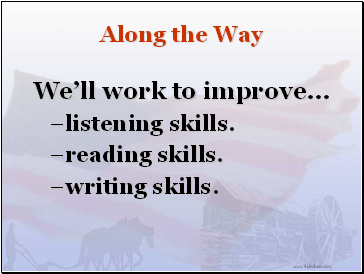 There was little money for investment. 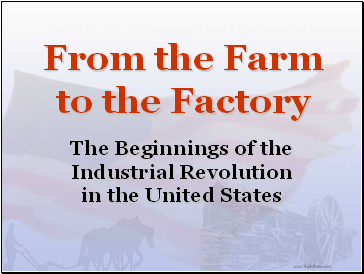 The market for manufactured goods was small. 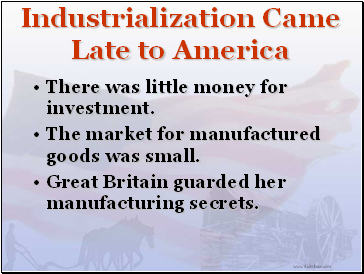 Great Britain guarded her manufacturing secrets. 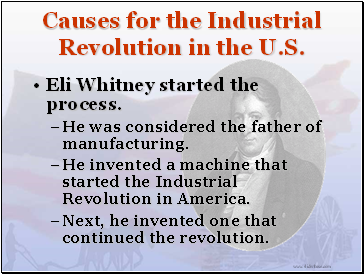 Causes for the Industrial Revolution in the U.S.